1) The buttery brown trout, imported to North America in the late 19th century, remains wild, self-sustaining and naturally-reproducing. They are the most common trout that you will catch in this area. 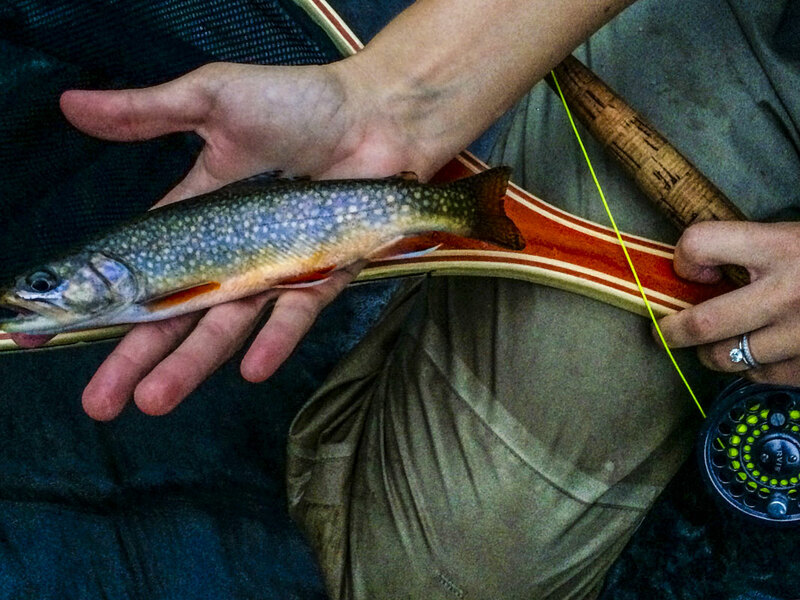 2) The beautiful brook trout (technically a char but often called a trout), with their dark, rich colors, are the only native trout in the Driftless. 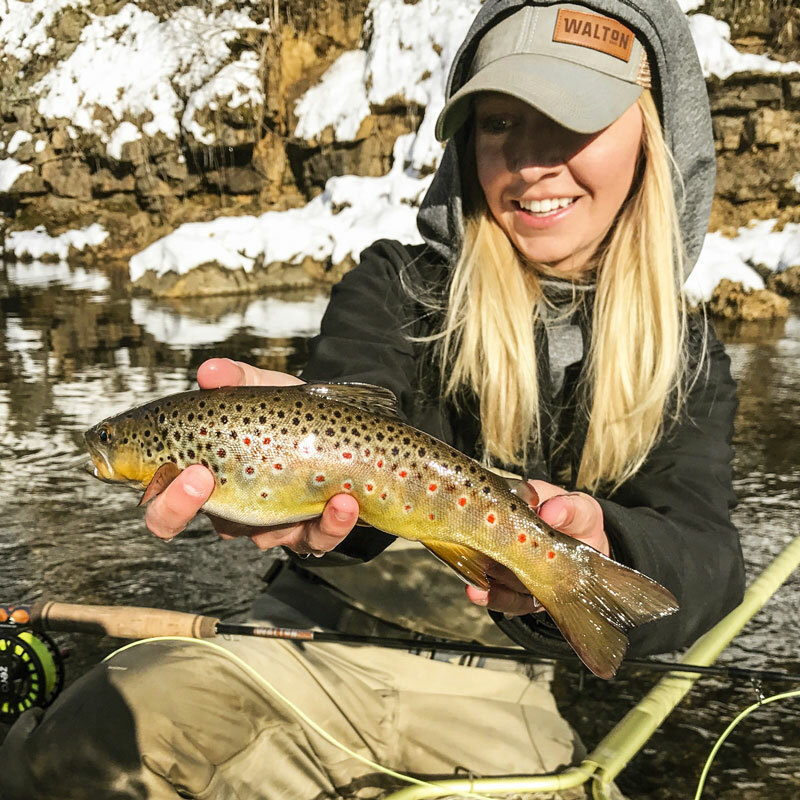 They are often smaller and harder to find, but catching one is a sign of great water quality and rewarding to the angler. 3) Rainbow trout were also introduced to the Midwest streams and rivers, and are occasionally stocked by the DNR, although they often fail to establish longstanding populations. 4) Finally, an angler is extremely lucky to come across the hybrid tiger trout, which is a result of a female brown trout and male brook trout reproducing. These fish have a high mortality rate, but they can be caught on occasion in the Driftless rivers! The streams are small and technical, requiring accuracy and creativity. I am, by no means, an advanced angler, but fishing these streams has forced me to improve my casting and get clever with my techniques. 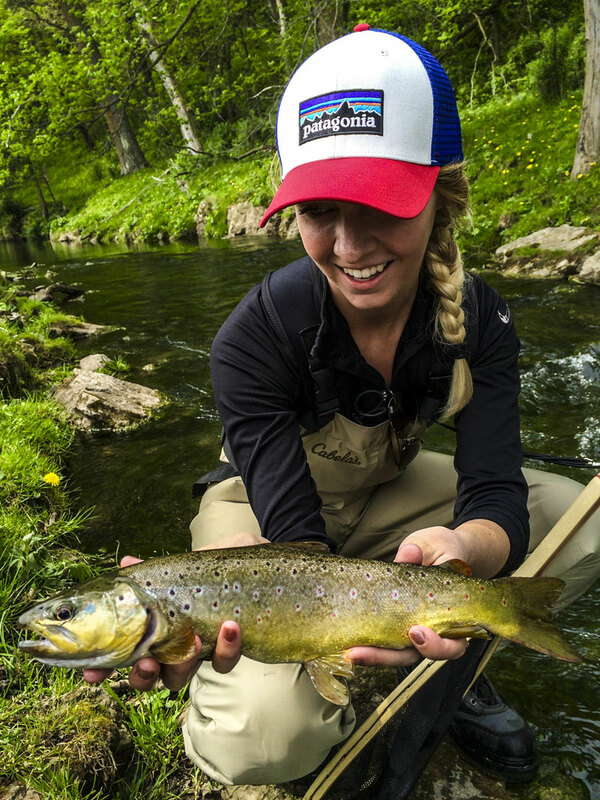 In terms of flies - anything goes; streamers, hoppers and dry flies are my personal favorites. 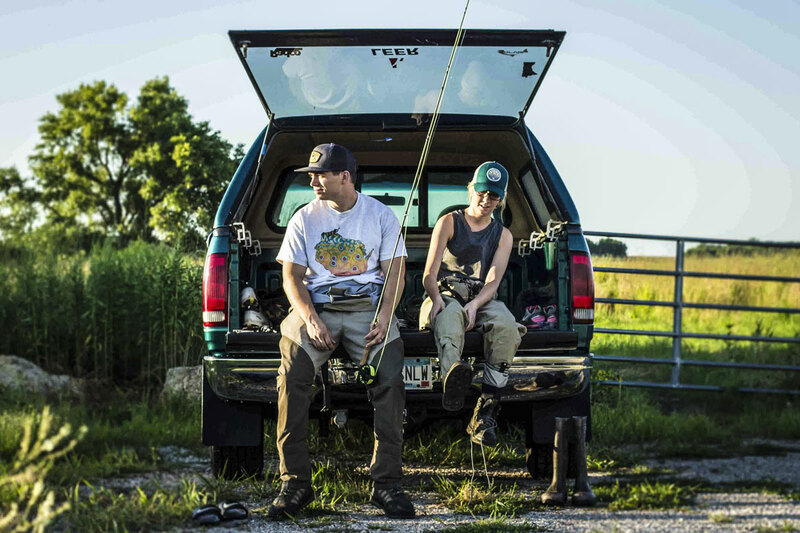 I could go on about the Driftless, but you’ll have to experience it for yourself. 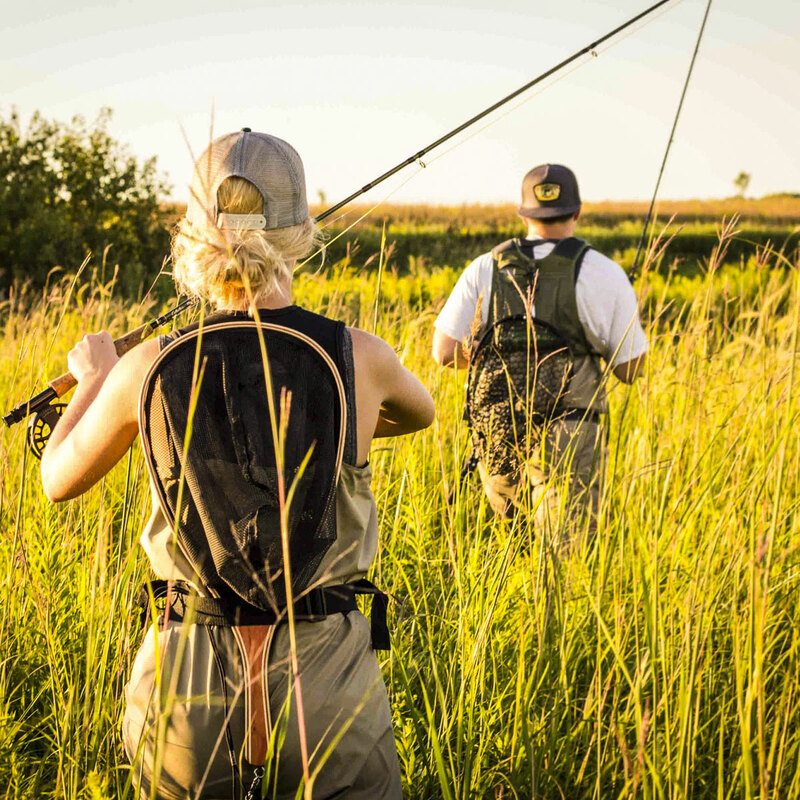 Since I’m married to a diehard angler, I’m often asked if I “actually enjoy fishing.” I always get to respond, “I LOVE fishing.” My husband introduced me to the sport over six years ago when we first started dating. I fell in love with it almost immediately after he handed me a bait-caster and a ‘frog’ and showed me how to lure largemouth bass out of the lily pads. After a few years, he decided to switch over to the fly rod for a better challenge, and my competitive self insisted I needed to make the switch too.